Loft conversions are where it all began 20 years ago for company owner Mick, so it will always have a fond place in the hearts of the MW lofts team. Equipped with this fondness, a creative approach, and over 20 years’ experience, we produce some truly stunning loft conversions. 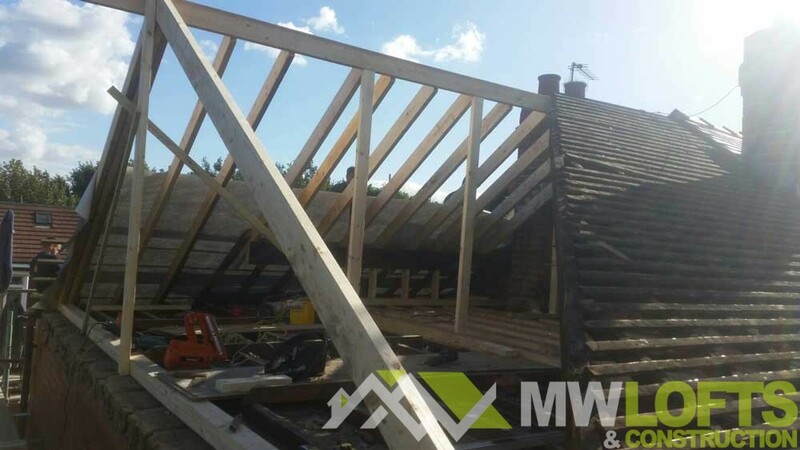 At MW lofts we have an established reputation as one of the leading loft conversion companies currently operating in the Leeds, Bradford and surrounding West Yorkshire areas. We do our utmost to understand the customer requirements and needs. We know that if you are looking to convert your loft, you have a specific vision in mind for how you want that room to look and feel. We do everything to understand your vision and help you to realise your dream space. Dormer: A dormer loft conversion is an extension to the current roof structure that vertically projects from a sloping roof. This will help to create additional headroom and space to a property allowing you to utilise all the potential space that your home has to offer. Hip to Gable: A hip to gable loft extension or conversion extends the sloping side of your property it will replace the sloping roof with a vertical wall at the same height as the ridge, then filling in the space in between. It will once again increase headroom and add additional floor space to the property. Mansard: A mansard loft conversion is usually constructed towards the the rear of a property that has a flat roof and a back wall that slopes inward. A mansard loft conversion will usually involve a large structural change to your property and as a consequence can be more expensive than other loft conversions. Velux: A Velux or skylight loft conversion can often be both a cheaper option & great outcome for your home if you have a bit of extra space to work with. With considerably less construction work/time allocated to this type of loft conversion, this solution would be easier on the pocket & offer much less disruption. Q: Does my loft currently have enough height to be converted? A: Typically, you will require at least 2.3m in height to enable your loft to be converted. Q: Do I need planning permission to have a loft conversion? A: As long as you aren’t extending your roof space, planning permission rules have been changed, meaning you don’t need it for a loft conversion as it falls within the category of permitted development. Q: Is my loft big enough for a conversion? A: Many homeowners will probably feel like their loft space is too small for a conversion, but they might be surprised to find what can be achieved with a dormer and imaginative design. Of course there needs to be a minimum of 7’6” height in the highest portion of the room. A: A simple loft conversion can be turned around in about 4-6 weeks, but a larger or more complex conversion could take up to 10 weeks to complete. Q: Should I get a dormer conversion? A: It’s certainly not true that need to have a dormer window, but it can be a nice addition for a smaller loft space, giving more headroom and allowing for better positioning of the staircase. There are also better angled views and better lighting options through a dormer window compared to a single skylight. Does your kitchen or bathroom feel a bit tired and in need of a new lease of life? MW can help. 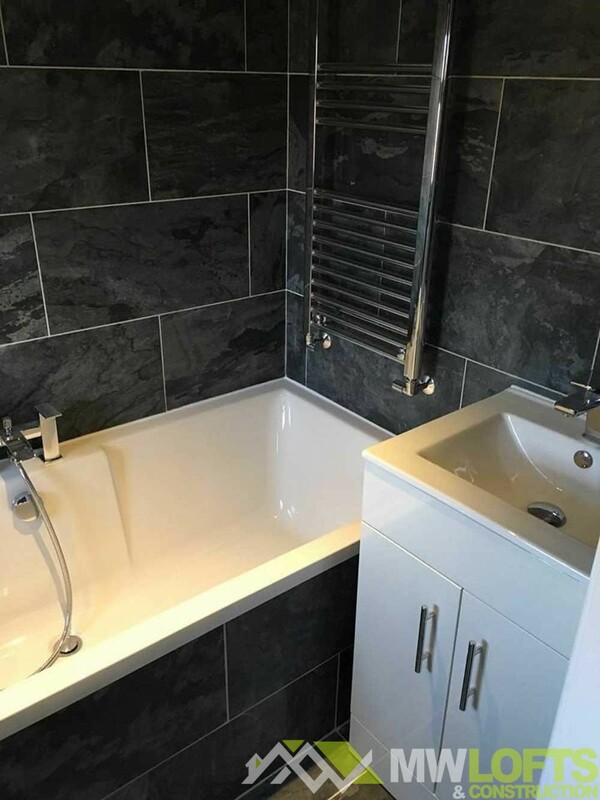 Our team of highly professional, reliable and affordable bathroom and kitchen fitters provide a Kitchen & bathroom installation service to customers in Leeds, Bradford and the surrounding West Yorkshire towns and Villages. We have over 20 years’ experience in bathroom & kitchen installations, so trust us to help you transform your space in to somewhere you love to be. Not only do we cook and eat in our kitchens, but we entertain and socialise there too. So, it’s important to create a kitchen design that is not only functional and best utilises space, but is sleek and attractive on the eye. 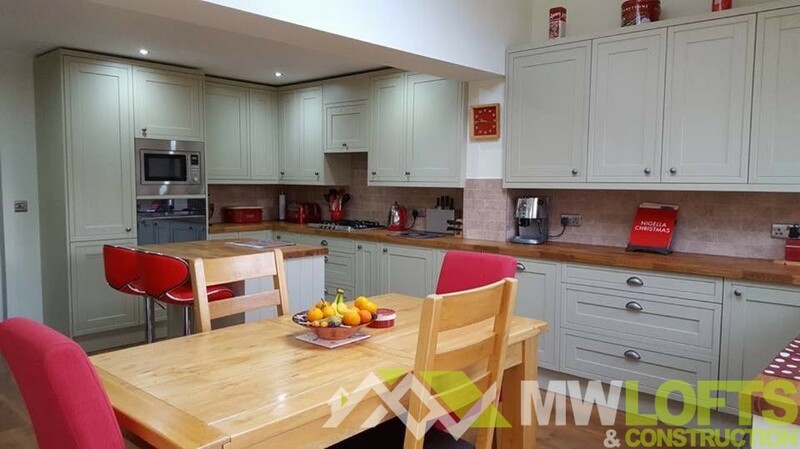 A kitchen from MW ticks all those boxes! We can supply and fit any kind of kitchen, but we can also help you design a bespoke kitchen too. We work with all types of kitchen manufacturers and suppliers like Ashleigh ann and Howdens to help you create your dream kitchen and dining space. Whether you are unwinding after a long hard day in a luxurious bath, or preparing for an important day in a powerful shower steamer, your bathroom should always be clean, well laid out and beautiful on the eye. At MW when helping to plan any bathroom re-design we consider it absolutely essential to factor in current plumbing ensuring that not only is your new luxurious bathroom suite beautiful, but functional. We work with all types of bathrooms and can help you to design and layout your dream bathroom, ready for you to relax and unwind. 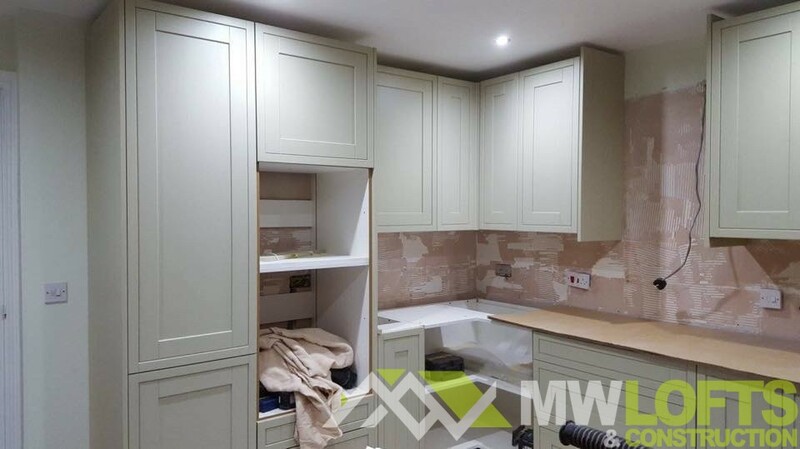 All the Bathroom and Kitchen installation work undertaken by MW comes fully equipped with our 10-year guarantee for quality of both materials and labour ensuring all the work we undertake is to the highest of standards. All plumbing and electrical contract work undertaken by MW is done so by both Gas safe and NICEIC approved technicians, trained to the highest standards of quality and reliability. At MW Lofts & Construction, we do more than just loft conversions, we provide many other home building services, one of which is a home extension. There are many reasons why people may require their home to be extended, including: making room for a new arrival, building a new guest bedroom for the visit of family and friends, or just freeing up some room for the family to relax in. 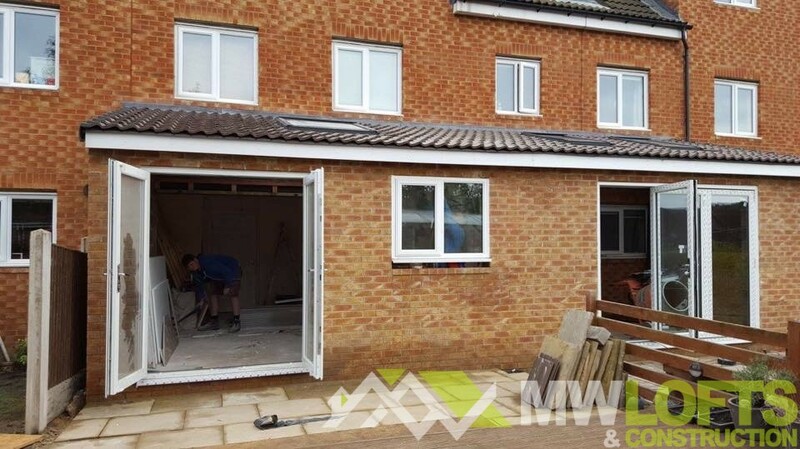 At MW we can help you to make your dreams a reality with our full home extension service. Build: Upon the completion of our thorough assessments and quotations, we are in a position to start the build to create your dream home extension. 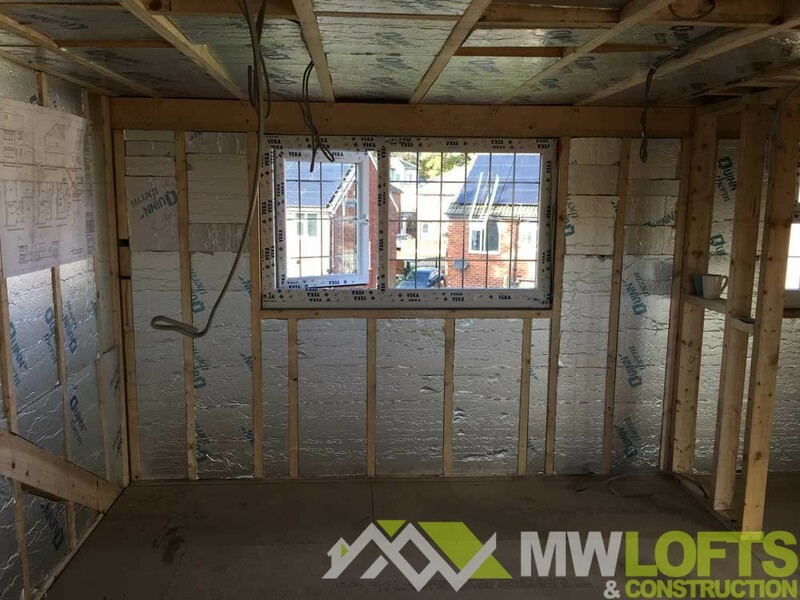 All home extension work undertaken by MW lofts comes fully equipped with our 10-year guarantee for quality of both materials and labour ensuring every home extension we undertake is to the highest of standards. 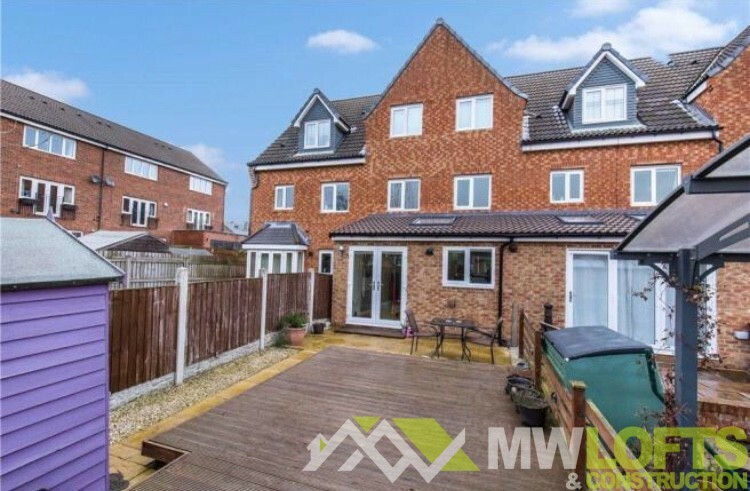 If you have recently purchased a property or simply want to renovate your current home at MW we can help you to achieve your dreams and goals. We understand that when renovating a property for re-sale purposes you do not want to spend thousands of pounds on a renovation that does not add significant re-sale value to the property. Or when renovating the family home, investing money but failing to achieve that wow factor you were dreaming of, simply will not do! Which is why every property renovation project we undertake be it for commercial or domestic purposes, gets treat with the love and dedication we would bring to the renovation of our own home, nothing else will do. With over 20 years building renovation experience MW can provide you with a wealth of knowhow and creative influence to help you to transfer your home into a truly stunning space. Our in-house design team can guide you through how to best utilise space, transform a neglected room, or simply advise on how to improve the look of your existing home. Whatever kind of domestic property renovations you have in mind, contact MW to see how we can help your home realise its potential. Whether you plan to renovate your commercial property for re-sale purposes or to simply attract new tenants to a rental property MW can help. We firstly identify the reason for the renovation and establish the best way to undertake the project. This ensures it is done to both the highest standards but also allowing for affordability and adding value to properties worth. If your intentions are to rent the property we will work to specifications that best suite the intended renters needs, allowing you to easily find tenants for your property when the job is done! All our large-scale property renovation work comes equipped with the MW 10-year guarantee for quality of both materials and labour ensuring every property renovation we undertake is to the highest of standards.